How to get there: The mountain summit is located at 76.21.188 north, 26.19.741 west. This is a GPS measurement at the summit. Route description: The mountain has a a good snow route up a north-west face. 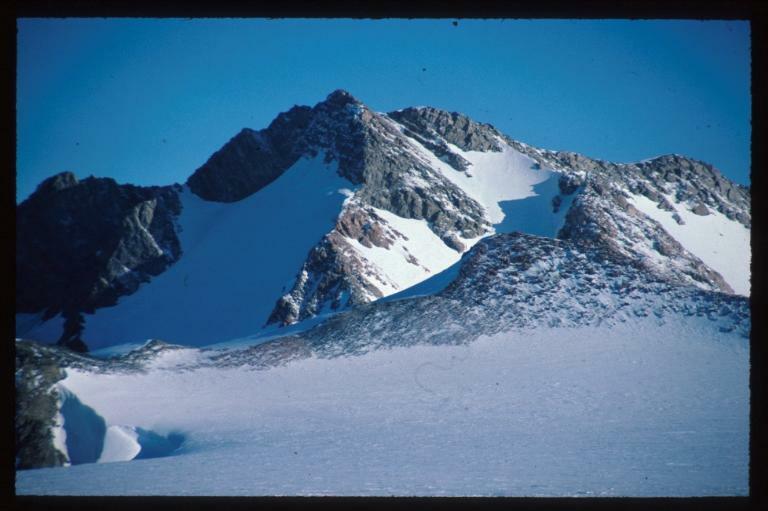 This snow route leads to a shoulder that in turn connects well with the main south-west ridge leading to the main summit. Comments: The ascent on May 20. 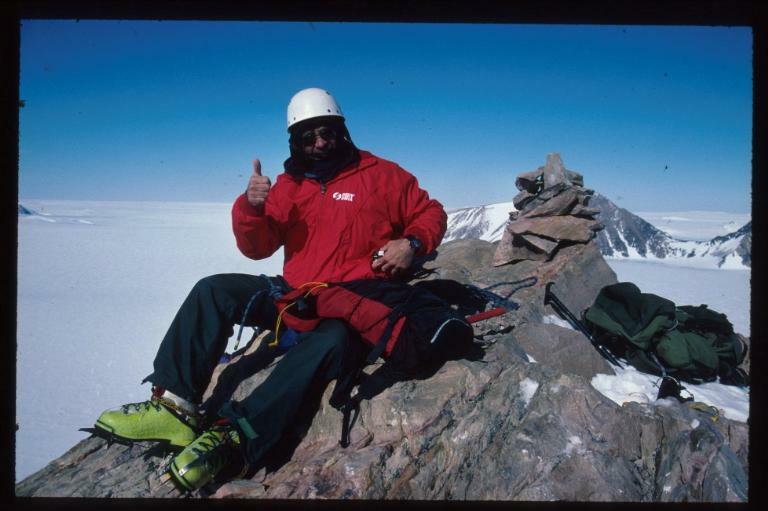 2000 was a first ascent. A cairn was built at the summit. Glenn Morris, John Gluckman and myself traversed the south-west ridge on descent. TWMC Fjeld (2150 m) as seen from Base Camp. 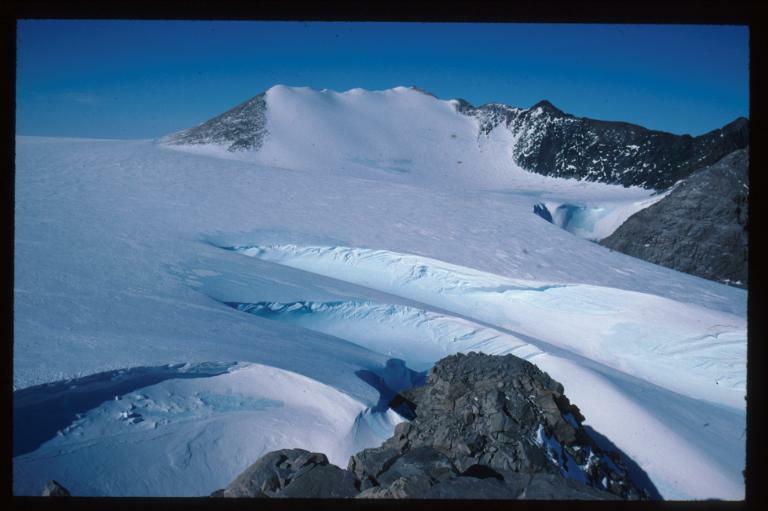 Nunatak Dent (1990m) in the foreground. The ascent route went up the snow field that can be seen all the way on the right side. Scott leading the second team onto the final ridge of TWMC. John next to our cairn on TWMC. 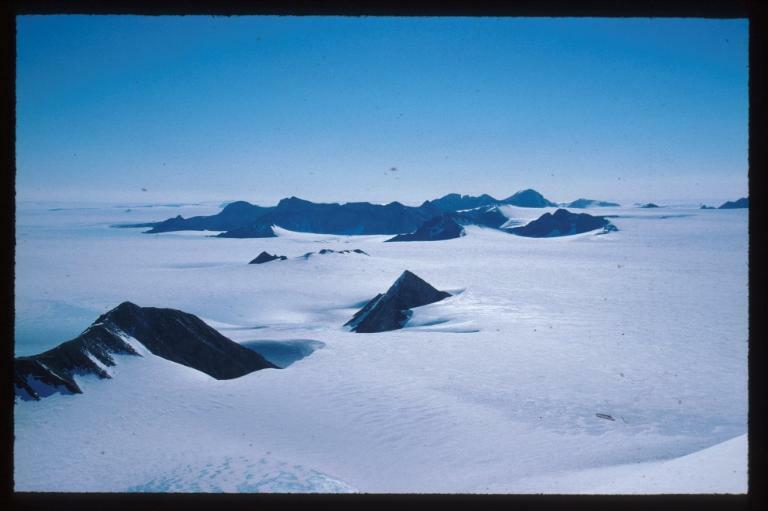 View south from TWMC, the closest nunatk is ICEsoft (1910 m). 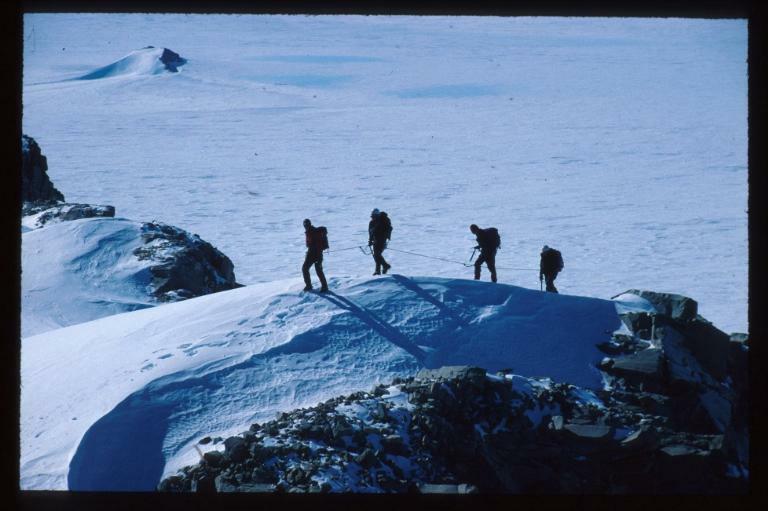 The south ridge of TWMC as seen from the summit of ICEsoft (1910 m). We traversed the entire ridge on descent.